recover MS word excel, photo, music, video and other files from lost deleted formatted NTFS partition,hard drive or external drive, usb drive. 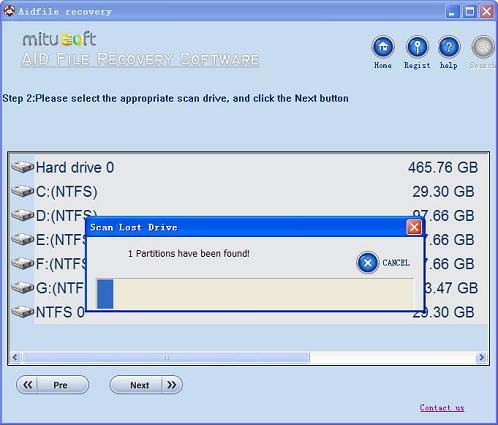 NTFS partition reocvery free software helps you to recover lost, damaged, formatted, deleted files in NTFS partitions. Use "Undelete" to recover deleted files from NTFS Partition very quick. Use "Unformat" to recover lost files after format NTFS Partition. 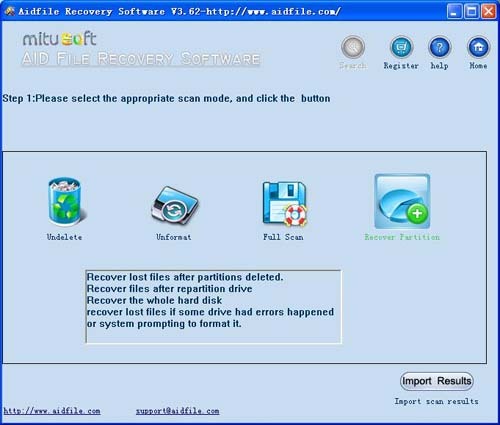 Use "Recover partition" to recover files if NTFS Partition changed or damaged or deleted. Use "Full Scan" to recover lost files which can not be found with "undelete" and "unformat" and "recover partition" from NTFS Partition. Support deep and full scan lost data from partition , hard drive, usb. completely recover all data from hard drive.